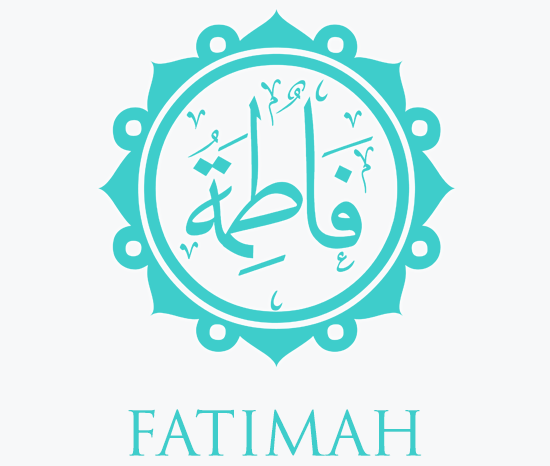 Fatimah was the fifth child of Muhammad and Khadijah. She was born at a time when her noble father had begun to spend long periods in the solitude of mountains around Makkah, meditating and reflecting on the great mysteries of creation. This was the time, before the Bi’thah, when her eldest sister Zaynab was married to her cousin, al-As ibn ar-Rabi’ah. Then followed the marriage of her two other sisters, Ruqayyah and Umm Kulthum, to the sons of Abu Lahab, a paternal uncle of the Prophet. Both Abu Lahab and his wife Umm Jamil turned out to be flaming enemies of the Prophet from the very beginning of his public mission. The little Fatimah thus saw her sisters leave home one after the other to live with their husbands. She was too young to understand the meaning of marriage and the reasons why her sisters had to leave home. She loved them dearly and was sad and lonely when the left. It is said that a certain silence and painful sadness came over her then. Of course, even after the marriage of her sisters, she was not alone in the house of her parents. Barakah, the maid-servant of Aminah, the Prophet’s mother, who had been with the Prophet since his birth, Zayd ibn Harithah, and Ali the young son of Abu Talib were all part of Muhammad’s household at this time. And of course there was her loving mother, the lady Khadijah. In her mother and in Barakah, Fatimah found a great deal of solace and comfort. In Ali, who was about four years older than she, she found a “brother” and a friend who somehow took the place of her own brother al-Qasim who had died in his infancy. Her other brother Abdullah, known as the Good and the Pure, who was born after her, also died in his infancy. However, in none of the people in her father’s household did Fatimah find the carefree joy and happiness which she enjoyed with her sisters. She was an unusually sensitive child for her age. When she was five, she heard that her father had become Rasul Allah, the Messenger of God. His first task was to convey the good news of Islam to his family and close relations. They were to worship God Almighty alone. Her mother, who was a tower of strength and support, explained to Fatimah what her father had to do. From this time on, she became more closely attached to him and felt a deep and abiding love for him. Often she would be at his side walking through the narrow streets and alleys of Makkah, visiting the Ka’bah or attending secret gatherings of the early Muslims who had accepted Islam and pledged allegiance to the Prophet. ‘Uqbah ibn Abi Mu’ayt, one of the vilest of the lot, volunteered and hurried off. He returned with the obnoxious filth and threw it on the shoulders of the Prophet, may God bless him and grant him peace, while he was still prostrating. ‘Abdullah ibn Mas’ud, a companion of the Prophet, was present but he was powerless to do or say anything. Imagine the feelings of Fatimah as she saw her father being treated in this fashion. What could she, a girl not ten years old, do? She went up to her father and removed the offensive matter and then stood firmly and angrily before the group of Quraysh thugs and lashed out against them. Not a single word did they say to her. Far from giving up, the mob turned on Abu Bakr and began beating him until blood flowed from his head and face. Such scenes of vicious opposition and harassment against her father and the early Muslims were witnessed by the young Fatimah. She did not meekly stand aside but joined in the struggle in defense of her father and his noble mission. She was still a young girl and instead of cheerful romping, the gaiety and liveliness which children of her age are and should normally be accustomed to, Fatimah had to witness and participate in such ordeals. Of course, she was not alone in this. The whole of the Prophet’s family suffered from the mindless violence of the disbelieving Quraysh. Her sisters, Ruqayyah and Umm Kulthum, also suffered. They were living at this time in the very nest of hatred and intrigue against the Prophet. Their husbands were ‘Utbah and ‘Utaybah, sons of Abu Lahab and Umm Jamil. Umm Jamil was known to be a hard and harsh woman who had a sharp and evil tongue. It was mainly because of her that Kadijah was not pleased with the marriages of her daughters to Umm Jamil’s sons in the first place. It must have been painful for Ruqayyah and Umm Kulthum to be living in the household of such inveterate enemies who not only joined bur led the campaign against their father. As a mark of disgrace to Muhammad and his family, ‘Utbah and ‘Utaybah were prevailed upon by their parents to divorce their wives. This was part of the process of ostracizing the Prophet totally. The Prophet in fact welcomed his daughters back to his home with joy, happiness and relief. Both Ruqayyah and Umm Kulthum were happy to be back with their loving parents and to be rid of the unbearable mental torture to which they had been subjected in the house of Umm Jamil. Shortly afterwards, Ruqayyah married again, to the young and shy ‘Uthman ibn ‘Affan who was among the first to have accepted Islam. They both left for Abyssinia among the first muhajirin who sought refuge in that land and stayed there for several years. Fatimah was not to see Ruqayyah again until after their mother had died. The persecution of the Prophet, his family and his followers continued and even became worse after the migration of the first Muslims to Abyssinia. In about the seventh year of his mission, the Prophet and his family were forced to leave their homes and seek refuge in a rugged little valley enclosed by hills on all sides and which could only be entered from Makkah by a narrow defile. To this arid valley, Muhammad and the clans of Banu Hashim and al-Mutalib were forced to retire with limited supplies of food. Fatimah was one of the youngest members of the clans – just about twelve years old – and had to undergo months of hardship and suffering. The wailing of hungry children and women in the valley could be heard from Makkah. The Quraysh allowed no food and contact with the Muslims whose hardship was only relieved somewhat during the season of pilgrimage. The boycott lasted for three years. When it was lifted, the Prophet had to face even more trials and difficulties. Khadijah, the faithful and loving, died shortly afterwards. With her death, the Prophet and his family lost one of the greatest sources of comfort and strength which has sustained them through the difficult period. The year in which the noble Khadijah, and later Abu Talib, died is known as the Year of Sadness. Fatimah, now a young lady, was greatly distressed by her mother’s death. She wept bitterly and for some time was so grief-stricken that her health deteriorated. It was even feared she might die of grief. Although her older sister, Umm Kulthum stayed in the same household, Fatimah realized that she now had a greater responsibility with the passing away of her mother. She felt that she had to give even greater support to her father. With loving tenderness, she devoted herself to looking after his needs. So concerned was she for his welfare that she came to be called “Umm Abi-ha” – the mother of her father”. She also provided him with solace and comfort during times of trial, difficulty and crisis. Often the trials were too much for her. Once, about this time, an insolent mob heaped dust and earth upon His gracious head. As he entered his home, Fatimah wept profusely as she wiped the dust from her father’s head. “The best women in all the world are four: the Virgin Mary, Asiya the wife of Pharaoh, Khadijah Mother of the Believers, and Fatimah, daughter of Muhammad.” Fatimah thus acquired a place of love and esteem in the Prophet’s heart that was only occupied by his wife Khadijah. Fatimah, may God be pleased with her, was given the title of “az-Zahra” which means “the Resplendent One”. That was because of her beaming face which seemed to radiate light. It is said that when she stood for Prayer, the mihrab would reflect the light of her countenance. She was also called “al-Batul” because of her purity and asceticism. Instead of spending her time in the company of women, much of her time would be spent in Salat, in reading the Qur’an and in other acts of ‘ibadah. “I have not seen any one of God’s creation resemble the Messenger of God more in speech, conversation and manner of sitting than Fatimah, may God be pleased with her. When the Prophet saw her approaching, he would welcome her, stand up and kiss her, take her by the hand and sit her down in the place where he was sitting.” She would do the same when the Prophet came to her. She would stand up and welcome him with joy and kiss him. Fatimah’s fine manners and gentle speech were part of her lovely and endearing personality. She was especially kind to poor and indigent folk and would often give all the food she had to those in need even if she herself remained hungry. She had no craving for the ornaments of this world nor the luxury and comforts of life. She lived simply, although on occasion as we shall see circumstances seemed to be too much and too difficult for her. She inherited from her father a persuasive eloquence that was rooted in wisdom. When she spoke, people would often be moved to tears. She had the ability and the sincerity to stir the emotions, move people to tears and fill their hearts with praise and gratitude to God for His grace and His inestimable bounties. Fatimah migrated to Madinah a few weeks after the Prophet did. She went with Zayd ibn Harithah who was sent by the Prophet back to Makkah to bring the rest of his family. The party included Fatimah and Umm Kulthum, Sawda’, the Prophet’s wife, Zayd’s wife Barakah and her son Usamah. Travelling with the group also were ‘Abdullah the son of Abu Bakr who accompanied his mother and his sisters, A’ishah and Asma’. “Marhaban wa ahlan – Welcome into the family,” and this was taken by ‘Ali and a group of Ansar who were waiting outside for him as indicating the Prophet’s approval. Another report indicated that the Prophet approved and went on to ask ‘Ali if he had anything to give as mahr. ‘Ali replied that he didn’t. The Prophet reminded him that he had a shield which could be sold. Fatimah and ‘Ali were thus married most probably at the beginning of the second year after the Hijrah. She was about nineteen years old at the time and ‘Ali was about twenty one. The Prophet himself preformed the marriage ceremony. At the walimah, the guests were served with dates, figs and hais (a mixture of dates and butter fat). A leading member of the Ansar donated a ram and others made offerings of grain. All Madinah rejoiced. On her marriage, the Prophet is said to have presented Fatimah and ‘Ali with a wooden bed intertwined with palm leaves, a velvet coverlet, a leather cushion filled with the leaves of the idhkhir plant, a sheepskin, a pot, a water skin and a quern for grinding grain. In ‘Ali’s humble dwelling, there was only a sheepskin for a bed. In the morning after the wedding night, the Prophet went to ‘Ali’s house and knocked on the door. “Your brother? That’s the one who married your daughter?” asked Barakah somewhat incredulously as if to say: Why would the Prophet call ‘Ali his “brother”? “I came to give you greetings of peace,” she said, for in awe of him she could not bring herself to ask what she had intended. “What did you do?” asked ‘Ali when she returned alone. “I was ashamed to ask him”, she said. So the two of them went together but the Prophet felt they were less in need than others. Through these acts of kindness she showed how much she loved her father; and he loved her, really loved her in return. Once he returned from a journey outside Madinah. He went to the mosque and prayed two rak’ats as was his custom. Then, as he often did, he went to Fatimah’s house before going to his wives. Fatima welcomed him and kissed his face, his mouth and his eyes and cried. “Why do you cry?” the Prophet asked. “I see you, and O Rasul Allah, “ she said, your color is pale and sallow and your clothes have become worn and shabby.” “O Fatimah,” the Prophet replied tenderly, “don’t cry for God has sent your father with a mission which He would cause to effect every house on the face of the earth whether it be in towns, villages or tents (in the desert) bringing either glory or humiliation until this mission is fulfilled just as night (inevitably) comes.” With such comments Fatimah was often taken from the harsh realities of daily life to get a glimpse of the vast and far-reaching vistas opened up by the mission entrusted to her noble father. Fatimah eventually returned to live in a house close to that of the Prophet. The place was donated by an Ansari who knew that the Prophet would rejoice in having his daughter as his neighbor. Together they shared in the joys and the triumphs, the sorrows and the hardships of the crowded and momentous Madinah days and years. In the middle of the second year after the Hijrah, her sister Ruqayyah fell ill with fever and measles. This was shortly before the great campaign of Badr. ‘Uthman, her husband, stayed by her bedside and missed the campaign. Ruqayyah died just before her father returned. On his return to Madinah, one of the first acts of the Prophet was to visit her grave. Fatimah went with him. This was the first bereavement they had suffered within their closest family since the death of Khadijah. Fatimah was greatly distressed by the loss of her sister. The tears poured from her eyes as she sat beside her father at the edge of the grave, and he comforted her and sought to dry her tears with the corner of his cloak. The Prophet had previously spoken against lamentations for the dead, but this had lead to a misunderstanding, and when they returned from the cemetery the voice of ‘Umar was heard raised in anger against the women who were weeping for the martyrs of Badr and for Ruqayyah. “’Umar, let them weep,” he said and then added: “What comes from the heart and from the eye, that is from God and His mercy, but what comes from the hand and from the tongue, that is from Satan.” By the hand he meant the beating of breasts and the smiting of cheeks, and by the tongue he meant the loud clamor in which women often joined as a mark of public sympathy. ‘Uthman later married the other daughter of the Prophet, Umm Kulthum, and on this account came to be known as Dhu-n Nurayn – Possessor of the Two Lights. The bereavement which the family suffered by the death of Ruqayyah was followed by happiness when, to the great joy of all the believers, Fatimah gave birth to a boy in Ramadan of the third year after the Hijrah. The Prophet spoke the words of the Adhan into the ear of the newborn babe and called him al-Hasan which means the Beautiful One. One year later, she gave birth to another son who was called al-Husayn, which means “little Hasan” or the little beautiful one. Fatimah would often bring her two sons to see their grandfather who was exceedingly fond of them. Later he would take them to the Mosque and they would climb onto his back when he prostrated. He did the same with his little granddaughter Umamah, the daughter of Zaynab. In the eighth year after the Hijrah, Fatimah gave birth to a third child, a girl whom she named after her eldest sister Zaynab who had died shortly before her birth. This Zaynab was to grow up and become famous as the “Heroine of Karbala.” Fatima’s fourth child was born two years later. The child was also a girl and the Prophet chose for her the name Umm Kulthum after Fatimah’s sister who had died the year before after an illness. It was only through Fatimah that the progeny of the Prophet was perpetuated. All the Prophet’s male children had died in their infancy and the two children of Zaynab, named ‘Ali and Umamah, died young. Ruqayyah’s child, ‘Abdullah, also died when he was not yet two years old. This is an added reason for the reverence which is accorded to Fatimah. Although Fatimah was so often busy with pregnancies and giving birth and rearing children, she took as much part as she could in the affairs of the growing Muslim community of Madinah. Before her marriage, she acted as a sort of hostess to the poor and destitute Ahl as-Suffah. As soon as the Battle of Uhud was over, she went with other women to the battlefield and wept over the dead martyrs and took time to dress her father’s wounds. At the Battle of the Trench, she played a major supportive role together with other women in preparing food during the long and difficult siege. In the place of her camp there stands a mosque named Masjid Fatimah, one of seven mosques where the Muslims stood guard and preformed their devotions. Fatimah also accompanied the Prophet when he made ‘Umrah in the sixth year after the Hijrah after the Treaty of Hudaybiyah. In the following year, she and her sister Umm Kulthum, were among the mighty throng of Muslims who took part with the Prophet in the liberation of Makkah. It is said that on this occasion, both Fatimah and Umm Kulthum visited the home and the grave of their mother Khadijah and recalled the memories of their childhood and the memories of jihad, of long struggles in the early years of the Prophet’s mission. On his return from the Farewell Pilgrimage, the Prophet did become seriously ill. His final days were spent in the apartment of his wife A’isha. When Fatimah came to visit him, A’isha would leave father and daughter together. Not long afterwards the noble Prophet passed away. Fatimah was grief-stricken and she would often be seen weeping profusely. One of the companions noted that he did not see Fatimah, may God be pleased with her, laugh after the death of her father. One Morning, early in the month of Ramadan, just less than five months after her noble father had passed away, Fatimah woke up looking unusually happy and full of mirth. In the afternoon of that day, it is said that she called Salma bint Umays who was looking after her. She asked for some water and had a bath. She then put on new clothes and perfumed herself. She then asked Salma to put her bed in the courtyard of the house. With her face looking to the heavens above, she asked for her husband ‘Ali. ‘Ali cried and she tried to console him. She told him to look after their sons al-Hasan and al-Husayn and advised that she should be buried without ceremony. She then turned and faced the Qiblah, closed her eyes, and slept. It was a sleep from which she did not awake. She, Fatimah the Resplendent One, was just twenty-nine years old. - 'The Companions of the Prophet' by Abdul Wahid Hamid. © Copyright 2015 Love Fatimah. All rights reserved.